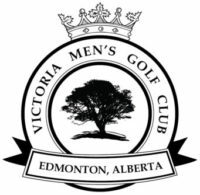 All members of the 2019 Victoria Golf Course Men’s Club, Senior and Junior Men’s Club affiliates are eligible. 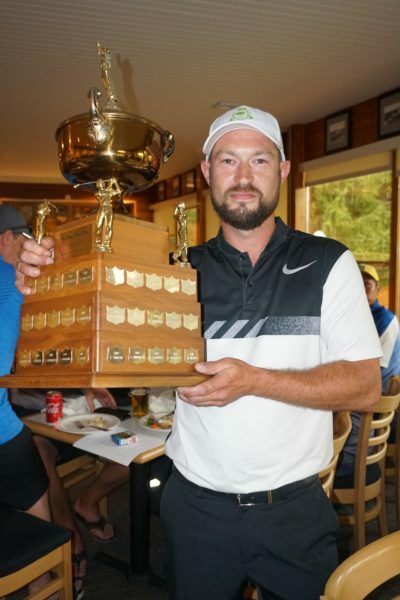 You must have at least 8 scores from Victoria played regular club events (Wednesdays, weekend tournaments, singles and/or doubles match play and Interclub play) in the computer for this year, posted by August 16, 2019. The restrictions above are intended to prevent players who use the computer for the purpose of obtaining a handicap and who do not support our club or golf course. These players are not eligible to play in the Club Championship. If you are unsure if you are eligible or have extenuating circumstances, contact the executive. Your score is to be kept by one of your playing partners. A local rules sheet will be provided to each player – ensure it is reviewed prior to your tee time. Do not step on a competitor’s putting line. Cell phones must be turned off prior to start of play. Do not make noise or move in the line of sight of a competitor when they are playing their shot. Repair your ball marks and replace your divots. Play or practice on the course is not permitted after 20:00 hours on the Friday immediately prior to the start of the tournament – players found on the course after that time will be disqualified. Individuals will be placed in their flights prior to the first round and will remain in that flight for both rounds of the championship. After entries close, the number of entries will be divided roughly by four based on handicap distribution to determine the number of entries in each flight. 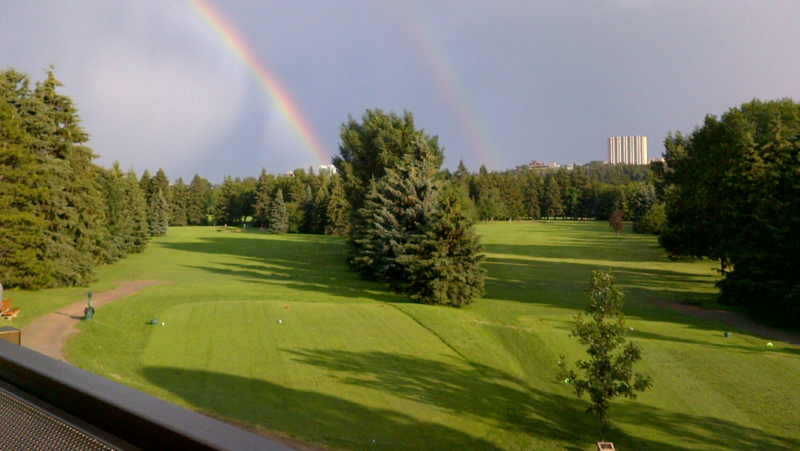 You will be placed in your flight based on your handicap index as of August 14 (Wednesday before club championship). Once you are in a flight, you are only eligible to win the prizes for that flight. For example, if you are in the 2nd flight, you can only win 1st, 2nd or 3rd prize for that flight. The exception is 1st prize for First Flight. The person with the low two-day score for the tournament will win 1st prize for the First Flight and be the Club Champion, regardless of how they were originally flighted. If someone in the 2nd, 3rd or 4th flights wins the Club Championship; they are not eligible for an additional prize in their flight. 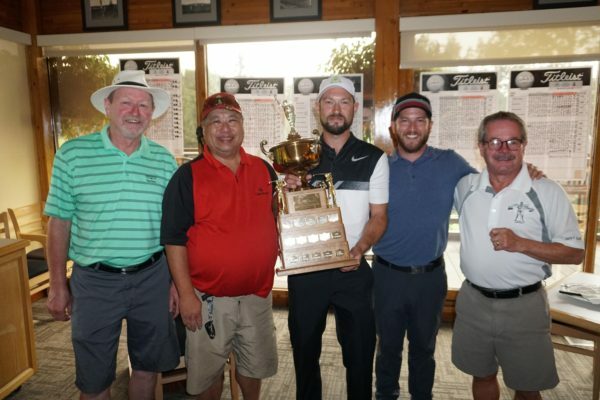 Tee times (or go to website >> Tee Times (menu bar) >> click on Weekend Tee Time) will be posted by the Thursday before the tournament. Sunday tee times will be posted by 1800 Saturday. Sunday tee times and pairings will be determined by Saturday’s scores. The awards presentation will take place after the completion of play on Sunday, accompanied by a dinner. Good Luck and Play Well!!!!! !